Unusual animal friendships always make for adorable photos, but the adorable cat-dog relationships may pale in comparison to this friendship! Grizzly bear cub, Bump, and Little Pup, a smaller terrier mix, outshine the cutest of inter-animal friendships. You must see the 2 videos below to know what we mean. Bump and Little Pup played together at the Woodland Zoo in Farmington, Pennsylvania. The zoo closed in 2009. 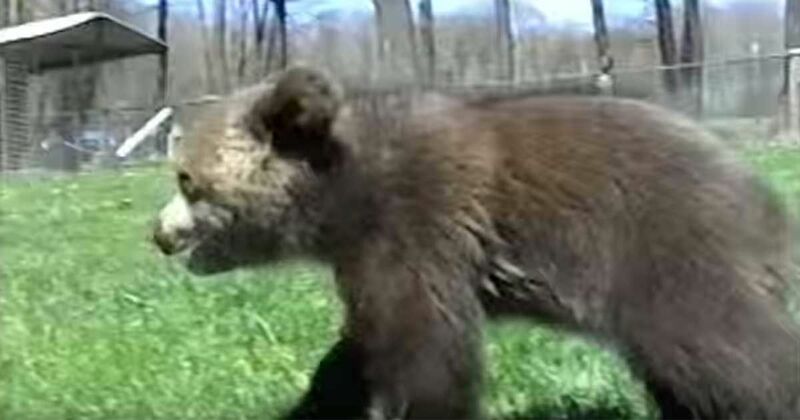 After the zoo closed, Bump went to live with her younger sister Lil'Bear on a private owner's property, according to the YouTube video. These two buddies aren't the dog-bear friendships to receive attention. Kayden, a German shepherd and Tallulah, a Siberian bear cub, were featured on the Animal Planet special "Too Cute!" according to NBC News. There's been some debate about how closely dogs and bears are related, according to Biology Stock Exchange. Whether it's in their DNA or simply another case of The Fox and the Hound, you have to admit these two make for a cuddly pair of pals. Do you know an odd pair of animal friends? Share your photos in the comments below.